Aerial Work Platform is a kind of mechanical aerial equipment used for providing an easy access for working at elevated height areas. It is used for a variety of purposes such as construction, maintenance, firefighting, and risky electrical tasks. It has been built to provide a standing capacity with a higher level of safety workload for a single person. 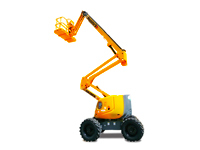 It provides unique and distinct feature platforms for fulfilling a wide variety of tasks such as articulated boom lifts and scissor lift. Articulated Boom Lift is self-propelled platform equipment used to provide an easy reach and access to difficult areas and offers a wide array of applications for instance building construction, electric poles, maintenance, fruit picking, mining, exterior painting renovation, and fire snorkel lift. It is an easy to maneuver equipment designed with all different kinds of size dimensions such as 36 feet to 46 feet working height. It is also popularly known as the cherry picker and available with versatile features like as precise positioning control, instant access, and quick maneuverability, as well as engine options. Scissor Lift is a kind of aerial working platform built on a unique criss-cross X pattern design which simply looks like a scissor. It operated with a vertical movement by elevating and extending the crossing pattern in an upward position. It provides a mechanical and hydraulic mechanism of expansion and contraction of the criss-cross design for propelling the work platform in a vertical manner. The Scissor Lift is also categorized into Slab Scissor Lift, and the Rough Terrain Scissor Lift. 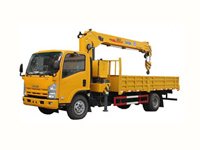 There is also a suitable choice of vehicle-mounted and a self-propelled powered platform according to the desired requirement for giving an easily reachable access to complex elevated areas. It is also included with a staircase and a ladder for easily and safely ascending and descending from the tall height.